Strengthens the legs and abdomen, improves balance and core strength. 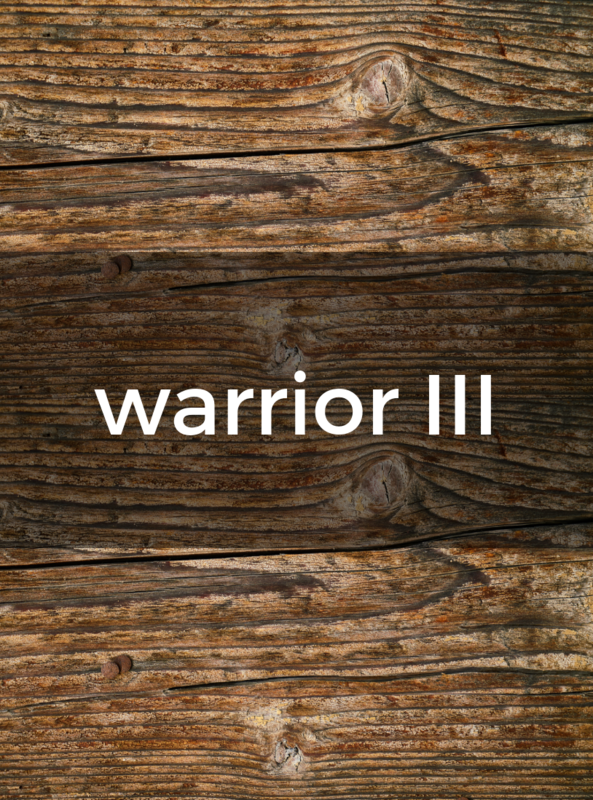 1) From Warrior I, bring the hands onto your hips. 2) Bring your weight forward into your front foot as you gently kick up your back leg. 3) At the same time, bring the torso forward until it is parallel to the floor. 4) Keep the neck relaxed, as if it’s the natural extension of the spine. 5) Keep both hips pointing toward the floor as you bring the back leg in line with your body. 6) Flex the raised foot and keep the muscles of the raised leg actively engaged. 7) Bring the arms back along your sides. Do the pose at the wall. You can either face the wall and bring your arms outstretched in front of you with your hands on the wall or turn around and bring the lifted back foot onto the wall. Try another arm variation. Bring the arms outstretched in front of you or into reverse Namaste position behind your back.